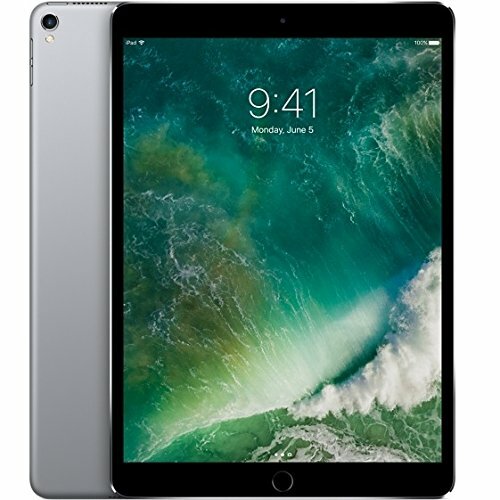 10.5" iPad Pro, Apple provides users with 64GB of storage and a 10.5" IPS Retina display that is 20% larger than their 9.7" model, while reducing its border size by nearly 40%. The result is a tablet that weighs just over 1 lb and also features a 12-core GPU, a screen resolution of 2224 x 1668, 264 pixels per inch (ppi), a refresh rate of 120 Hz, a brightness of 600 cd/m2, support for the P3 color gamut, 20 ms latency, and an anti-reflective coating with 1.8% reflectivity. All of this helps to deliver high resolution videos and photos with vivid colors, deep blacks, greater contrast, and more uniform brightness.